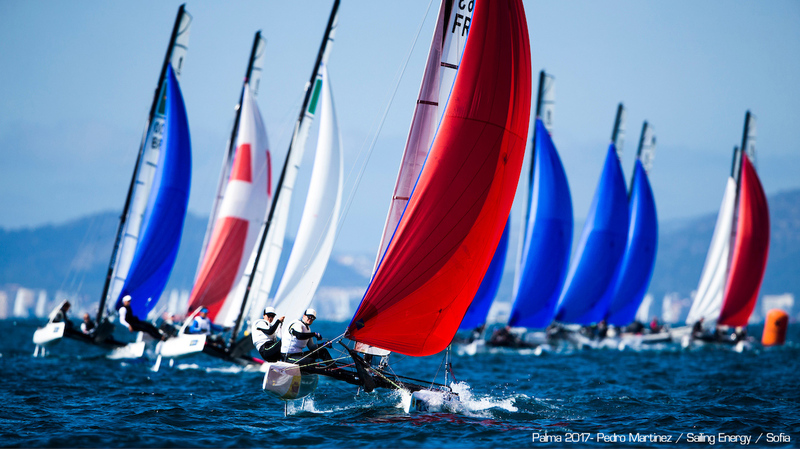 All images Pedro Martinez / Sailing Energy / Sofia Press - Lin Cenholt & Peter Lubeck continue to lead after 6 races, 3 of them held today Tuesday. 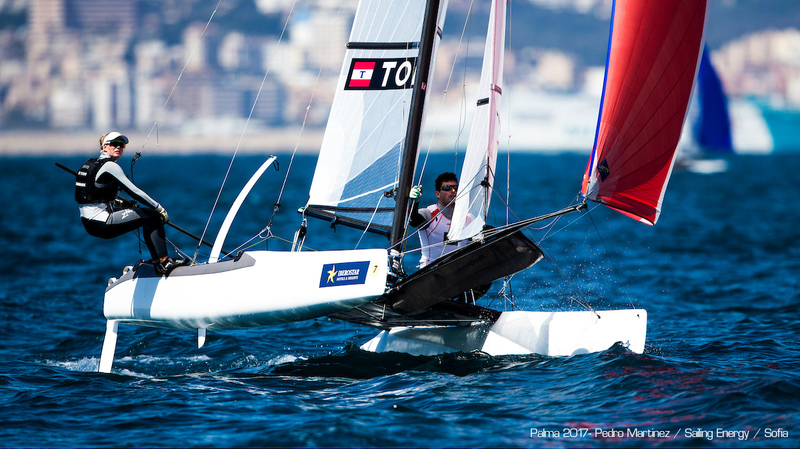 Trofeo Pirncesa Sofía is the first European stop and has gathered 30 Nacra 17s. (MKI). 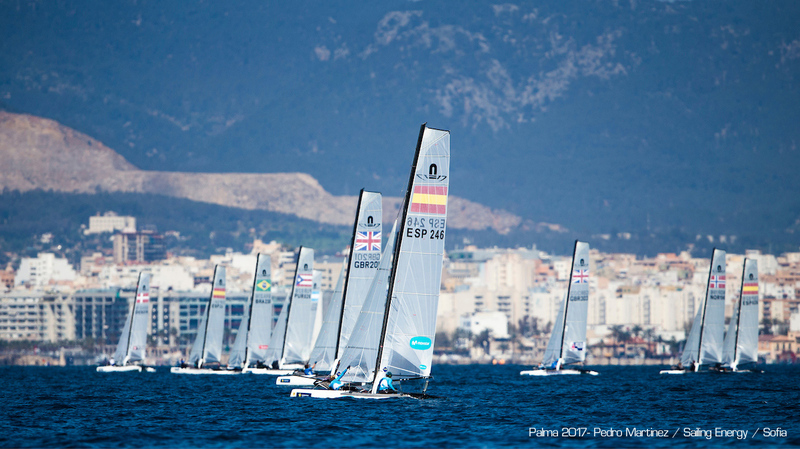 British teams Gimson & Burnet and Phipps & Boniface are holding 2nd and 3rd overall with the Spanish former Olympic medalists Echavarri & Martinez moving their game to the top 7.